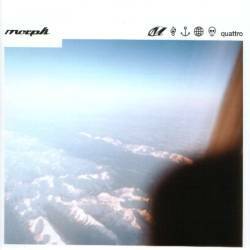 As the name suggests, the EP Quattro by Morph contains 4 songs. The opener Strohfeuer is the highlight of the CD: emotional, noisy and melodic at the same time. Apart from the vocals, this could be a Sonic Youth song. The tracks Pilatus and Strandgut which present Morph's punk side are no worse. These faster and more rock songs are driven by noisy guitars. Finally, Neue Welt is a very melodic song placed in the perfect middle of pop and rock. This song has real hit potential. All songs have excellent vocals, which may be why the label compares the singer to the young Kai Hawaii (Extrabreit). Quite suitable in fact! Morph have shown on this EP that no nation knows better how to play great noise rock than the Germans.